The Carnegie UK Trust was set up by Andrew Carnegie in 1913 to improve the wellbeing of the people of the United Kingdom and Ireland. It is one of the oldest and most respected charitable trusts in the British Isles. To celebrate its centenary year in 2013, the Trust developed an exciting interactive timeline where you can explore highlights from the Trust’s work over the past 100 years. A book charting 100 years of the Carnegie UK Trust was published in April 2013. Pioneering Philanthropy – 100 years of the Carnegie UK Trust looks at the broad range of work which the Trust has been involved with and highlights the Trust's contribution to the physical, social and cultural landscape of the UK and Ireland. The book is illustrated with material from our archives, tells stories of pioneering initiatives throughout the UK and Ireland, and shows how the Trust has been involved with many developments which have created the world we live in today. The Trust plans to mark our involvement in music throughout our history by supporting two initiatives as part of our centenary celebrations. A CD of Tudor church music drawn from the ten volumes published by the Trust in the 1920s was recorded by vocal group Stile Antico on the Harmonia Mundi label. Titled The Phoenix Rising, the album was released in 2013 and listed as Amazon's 'Classical Album of the Year'. Stile Antico performed this programme in several concerts across the UK and Ireland. More information is available via the Stile Antico website. 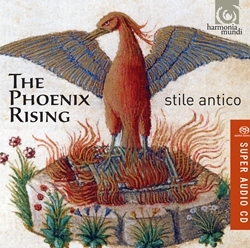 To view a performance of The Pheonix Rising arranged by Sinfini Music click here. The Trust commissioned six new arrangements of Christmas carols, and one newly composed carol, for adult choirs to sing with children’s choirs. The six arrangements are of well-known carols, and the new carol has been written by Paul Mealor, who is well-known for his compositions for the Military Wives Choir, and royal wedding of Prince William and Kate Middleton. The music was published by Music Sales, and we worked with Making Music to make sure choirs all around the country were told about these new pieces and encouraged to perform them in 2013. We have digitised the Trust's minutes and reports from the last 100 years, which means they are now available online for anyone to view. Click here to explore the archive. These materials will be particularly interesting for organisations which have received funding from the Trust in the past. If you find a particularly interesting story about your organisation or about a project which the Trust has supported we would love to hear about it - particularly if you think we should highlight it in the timeline. You can contact us at [email protected]. The Carnegie Medal of Philanthropy was hosted in Edinburgh on Thursday 17 October 2013 to mark the Carnegie UK Trust's centenary. The event took place at the Scottish Parliament, thanks to the support of the Presiding Officer, and was jointly hosted by the UK-based Carnegie Trusts. This award is given every two years to one or more individuals who, like Andrew Carnegie, have dedicated their private wealth to public good, and who have sustained impressive careers as philanthropists. In 2013, the Medals Ceremony in Edinburgh was accompanied by a week of events celebrating the legacy of Andrew Carnegie. For more information about the 2013 events click here.